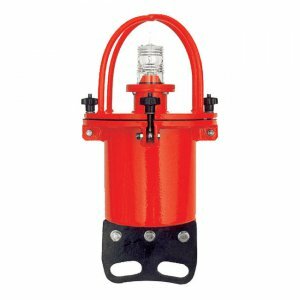 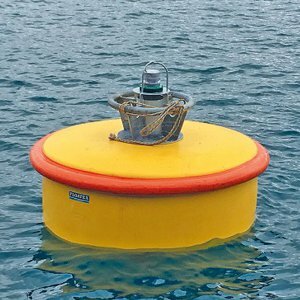 FLOATEX CBS-CHAIN SUPPORTING BUOY have been designed to withstand the severe operating conditions associated with offshore operations. 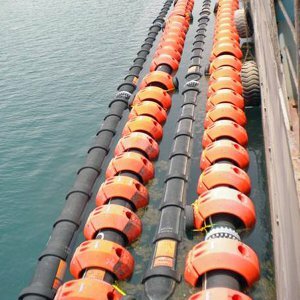 To achieve these characteristics the inner buoyancy core is realized applying spiral bending sheets of expanded cross-linked polyethylene. 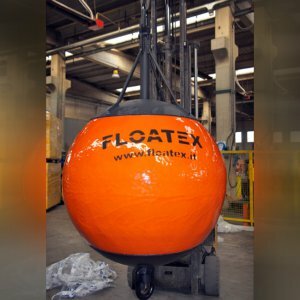 The full closed-cell expanded Polyethylene used, guarantees the unsinkability of the buoy, also in case of accidental serious damages occurred during operations. 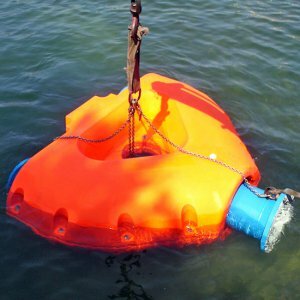 The outer Polyurethane skin provides the necessary abrasion and ultra-violet rays resistance to the buoy. 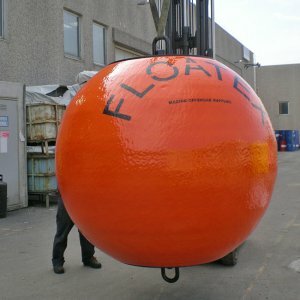 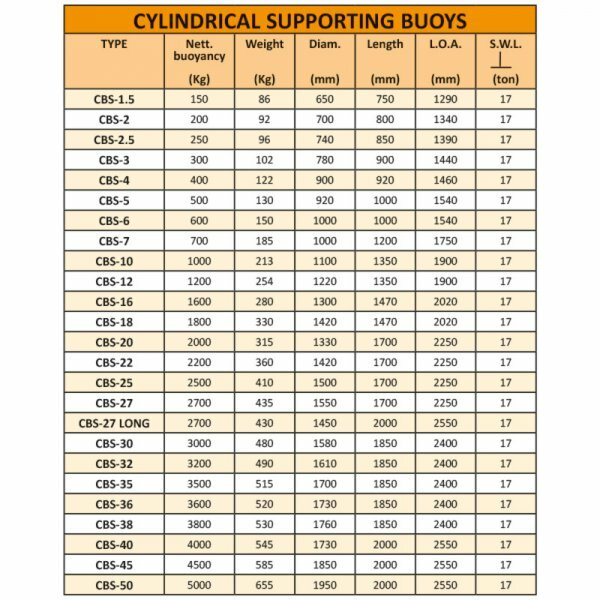 Standard outer colour is marine orange, but if requested, buoys can be manufactured in different colours. 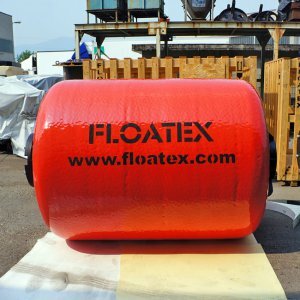 Cylindrical body of expanded closed-cell polyethylene foam, density 40-45 Kg/m³. 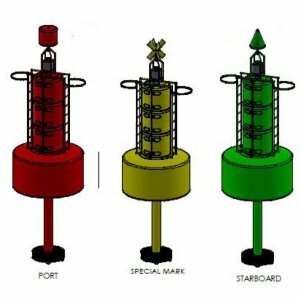 The layers of expanded polyethylene are heat sealed to reach the necessary buoy volume. 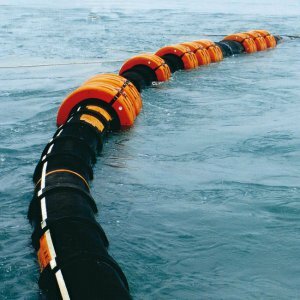 Expanded polyethylene (EPE) has excellent energy absorption and high strength properties. 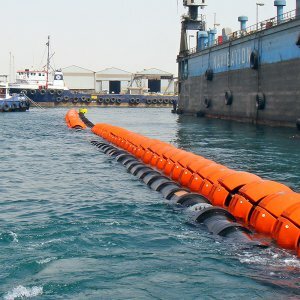 It is a flexible and lightweight material, environmentaly-friendly, which can be recycled easily, 100% non-toxic. 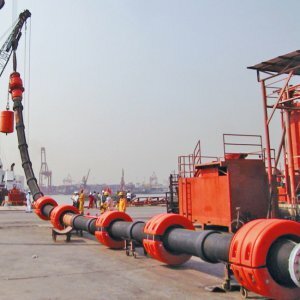 EPE provide outstanding energy absorption characteristics, weight to strength ratio, high thermal resistance and resistant to water, oils and most chemicals. 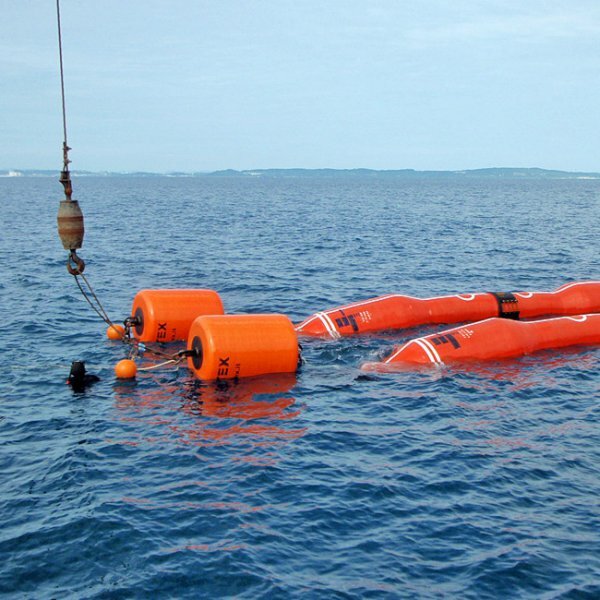 The material can withstand multiple impacts without significant damage. 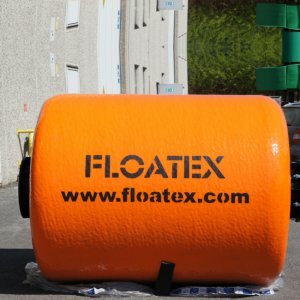 Outer cover with 8 mm thickness of elastomer polyurethane foam ORANGE colour. 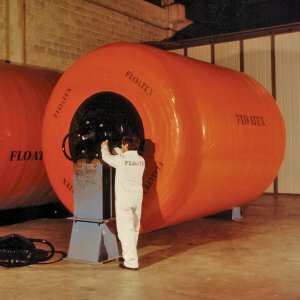 The elastomer polyurethane is the result of a chemical reaction between isocyanate and polyol, 100% made and tested before production by our R&D laboratory. 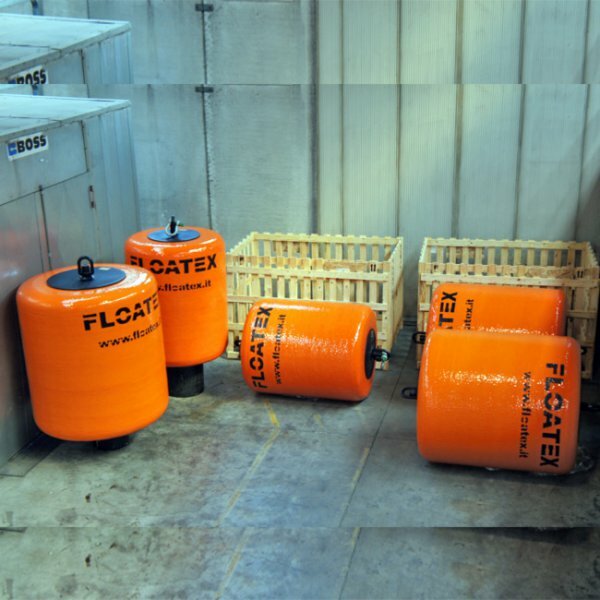 The elastomer polyurethane ensures excellent protection against abrasion, impacts and ultra-violet rays. 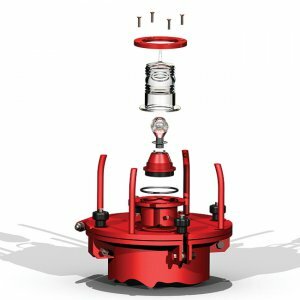 Moreover ensures an excellent adhesion with the PE and steel. 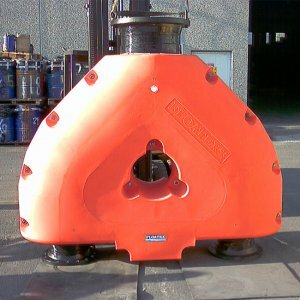 The buoy is complete with a passing through steel tie rod, one steel plate and stiffeners at both ends, one marine swivel at both ends SWL 17 Ton for the connection with the chain.The swivels are locked with the tie-rod through a couple of nuts at both ends.The metal parts are sandblasted, galvanized and painted with marine grade polyurethane paint.